Access to a large global audience. Accept donations from anyone, anywhere in the world. An organization can begin to receive more donations from anywhere in the world when they allow cryptocurrency. There are no international exchange fees and no need to change currency or deal with international banks. Instead, charities can do the work they are meant to do. International donors can rest assured that more of their donation is going to help the charity instead of paying banking fees. When a charity accepts crypto and donors use crypto, money can move faster and with less hassle than with other currency. There is no delay with banks verifying a transaction. The transaction is automatically verified on the blockchain, which means it can be completed in just a few moments. There is transparency in every transaction which makes donors and charities feel more confident. Making donations with traditional currency is often expensive with a percentage of each dollar for exchange fees. Crypto donations allow the fees to go down, especially with larger donations. Charities assume less cost for international donations and donors know that more of their money is going to make a difference. International transfers on traditional money can take days or weeks to be completed. In addition, high bank fees deter donors from giving to causes they believe in. Cryptocurrency gives both donors and charities another option. Once a transaction has been completed, it can never disappear or be altered. It exists forever on the digital ledger known as the blockchain. There is less likelihood that charities will misuse the funds or misrepresent themselves, and there will be fewer scams. One of the main concerns for donors is whether a charity is legitimate. Cryptocurrency makes it easier to track all donations made to a charity. Anyone can see each transaction after it has been made. The donor can see how the money is used. 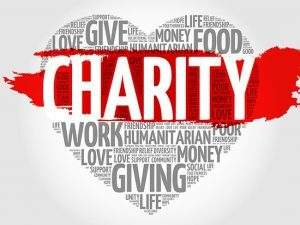 Charities are able to accept cryptocurrency and then tag the donation for a specific project according to the donor’s wishes. 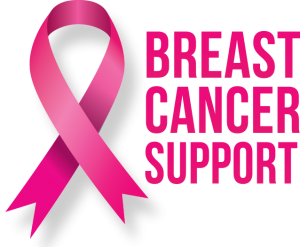 Donors are allowed see what causes they are supporting. Because cryptocurrency is more transparent, it can make donors more trusting of organizations that label themselves as charities. They feel safer in making a donation and often like to know where their money is going. Charities and donors can connect at a deeper level, which will encourage future giving. Cryptocurrency generally grows over time, which means it acts like an investment. An organization can view them as an asset that appreciates if they can hold on to the funds for some time. However, as with any market, you must watch the trends and think strategically. Donors who got into cryptocurrency early on have seen their investment grow, which allows them to share the wealth.